Doesn’t that sound good? No? Well, it is. In fact, it’s quite possibly the best bread I’ve ever eaten. 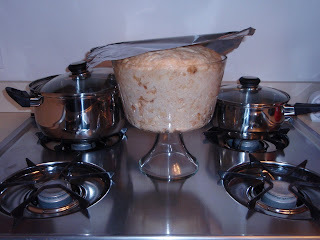 Buckle up, folks--the Bizarre Bread Baker (as I shall refer to myself throughout this blog) has arrived. 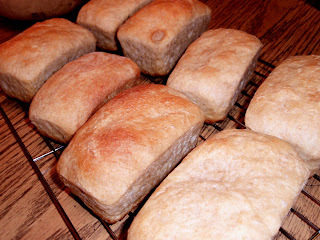 Mammicita recently acquired a sourdough starter from a coworker, and since then we’ve been baking bread like crazy. 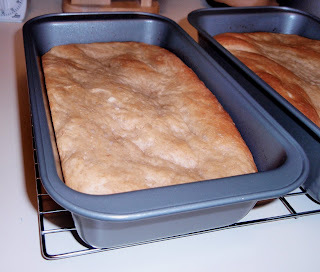 We’ve gone from the typical, plain sourdough recipe to alterations like apple walnut bread and monkey bread. Even though those variations are delicious, the one I’ve documented here for you, my dear readers, is definitely my favorite (so far). 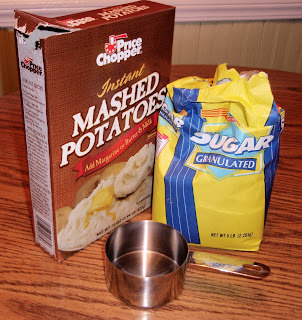 You mix together ½ c sugar, 3 T potato flakes, and 1 c warm water. Yes, potato flakes—unexpected, but essential. Don’t ask me why, it just what Ebenezer craves. (Maybe I should nickname him Tater...) This mixture drops in on ol’ Eb (i.e. 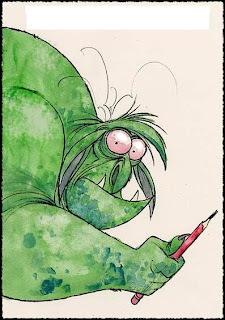 the jar of starter, for those of you not following my train of thought) and sits on the counter for around 8 hours. Hmm. Ebenezer eats for 8 hours. What a porker. After 8 hours, or the time of the Bizarre Bread Baker’s beauty sleep, Ebenezer is cut off. 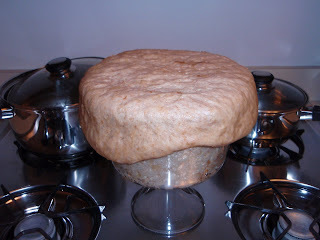 In a large non-metal bowl (apparently Ebenezer is allergic to metal), you combine ½ c oil, 1 c Ebenezer, 1 t salt, 1 ½ c warm water, ½ c sugar, 5 c bread flour, 1 c whole-wheat flour, and 3 T wheat germ. 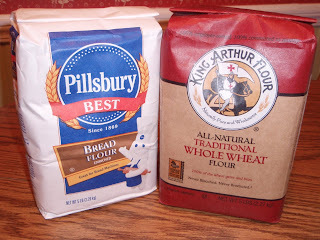 For my tastes, 5:1 is a good ratio of bread flour to whole-wheat flour. Also, as your food lesson for the day, wheat germ is a very small part of the wheat kernel that's very high in protein--it has more protein than most meat products. Further, it contains 23 nutrients, which is more per ounce than any other vegetable or grain. In other words, it's good stuff. 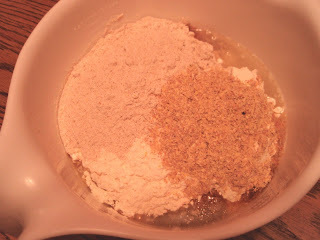 So, stir everything together, adding more bread flour as necessary to create dough that's no longer sticky. 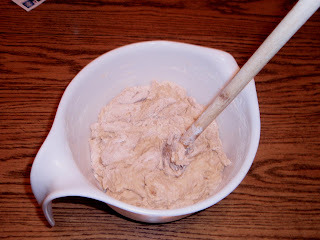 Transfer the dough into a second non-metal greased bowl. I had to resort to using my trifle bowl. Apparently, the trifle bowl was not a stroke of genius. Ebenezer is a fierce and powerful monster. After 12 hours, it was time to punish Ebenezer for his uprising (get it? boy, oh boy, I’m a riot). 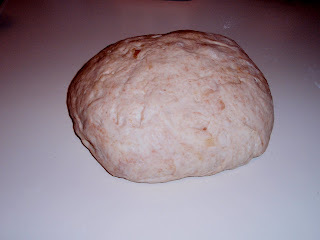 I did this by punching the dough once, right in its middle. Then I turned it out of the bowl onto a floured surface and kneaded it a few times. 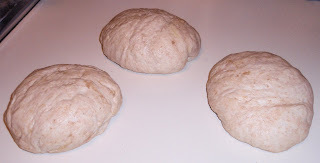 The dough was then divided into three even hunks, which were each kneaded a bit more. 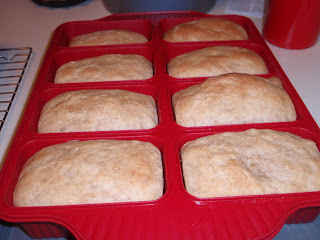 There are all kinds of pans you can use, but this time I put two of the blobs into greased loaf pans. 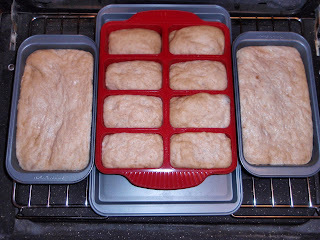 The third piece got further divided into eight little nuggets and put into my silicone mini-loaf pan, also greased (just in case). 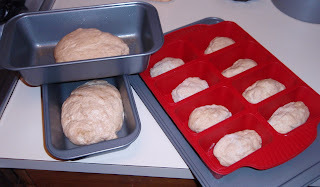 The pans go into the oven, get covered with foil, and are left to rise again for around 8 hours (more sleeping time for the Bizarre Bread Baker). Just FYI, the pans are put into the oven to rise so they don’t have to be moved later and risk collapsing. 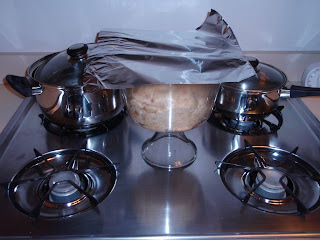 ...I removed the foil (I like a crusty top) and baked the dough at 350 degrees for about 25 minutes. Ebenezer is, in Heberw, literally "stone place" or figuratively "stone of help". Your bread certainly looks delish, unlike stones. Since this is the profound remarks section and we are on the subject of stones....In Physics I my professor, while attempting to describe an abstract concept to us lowly freshmen, made the claim that "Light does not behave like a stone." Indeed. Wow! 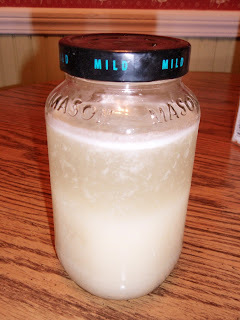 Okay, once I finally get someone to give me a good sourdough starter, I'm keeping this richer and germy version in mind. And thanks for the tip about metal bowls! I love rolls. These look awesome! 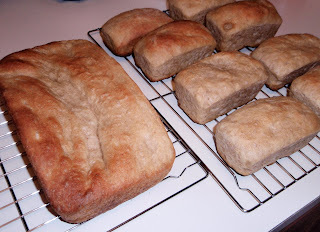 I also make this bread - but forgot to feed my starter - any idea how to bringit back to life??? Ok, I'm confused! On this page, I don't see any mention of putting yeast in. 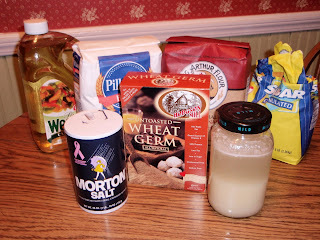 On another recipe linked to this, you add the yeast when you put the sugar, potato flakes and water together. Is that when we add the yeast? How much? Sorry, but I am a total novice at breadmaking and sourdough starters. 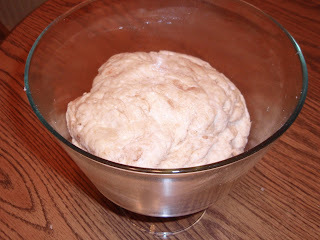 dianna--the post that referred to the yeast is the recipe to start your own starter. 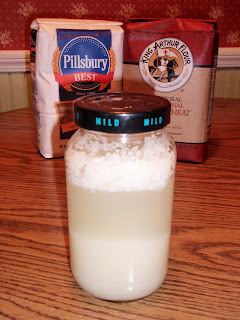 once you've gotten it started, you don't need to add yeast ever again! you do have to feed it though, and that's where the sugar and potato flakes come into the picture. if you have other questions or if this answer doesn't cut the mustard, send me an email! P.S. Just curious...is Ebenezer still alive? Sorry to hear about Ebenezer Grace:( You are so lucky that your mom still has the original though. I lost my starter many years ago and never replaced it. I do hope you will begin again.